Whether you're a pioneer or a latecomer in a competitive industry, here are strategies to stay ahead of the pack. It may appear that certain industries are so packed with competition these days that it's hardly worth jumping in. But don't let a crowded market deter you. Savvy small-business owners are still gaining a competitive edge in industries where you wouldn't think one existed anymore. Consider these tips gleaned from the experience of successful entrepreneurs who found ways to make their businesses stand out in a crowd. When you're a pioneer in an industry, you get a head-start but you have to get creative to stay ahead once competitors enter the fray. Take FixYa.com, which launched in 2005 and was among the first question-and-answer web sites. The site helps people solve technical issues with personal gadgets and household appliances -- whether a cellphone or a dishwasher. The San Mateo, Calif.-based company connects owners of similar products and gives them a way to ask each other questions and get responses. 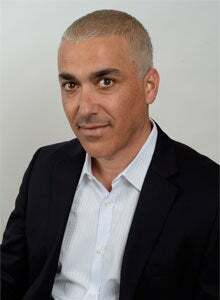 "I figured the best person to help a person with a BlackBerry is another BlackBerry user," says founder and chief executive Yaniv Bensadon, 41, noting that it was an alternative to dealing with "a call center halfway around the world." But in the past several years, there's been a surge in Q&A-focused web sites, including Yahoo and Quora.com, which launched in 2005 and 2010, respectively. While these sites don't specialize in solving product issues like FixYa, Bensadon says they can be used to get any kind of answers. So Bensadon has found new ways to make FixYa more user-friendly and social. The 60-employee company recently revamped its web site, adding new social-networking and interactive features to offer a more personalized experience for its 11.5 million registered users. For instance, people can create their own network of favorite "experts" on the site. And people who log in through Facebook can see their friends' postings. FixYa is also rolling out over the next few months an "experts on demand" feature that allows people to sell technical-support services by creating their own expert profiles on the site, and users can rate them. FixYa will make a commission on any business secured through its site. Bensadon's advice: Look for ways to offer a personalized experience and interactive features that make your product or service more user-friendly. "When you're just a content site, users usually find you on Google," he says. As a social-networking site, "there's far more trust and credibility, as well as engagement." 2. Be a trendsetter and redefine a common product or service. When selling a product that's so common it's considered a commodity, consider out-of-the-box, even incongruent, ways to develop your niche and gain market share. That's what New York restaurateur Roy Liebenthal did when he opened his first Pop Burger in 2003. He turned the traditional fast-food concept on its ear, and added some upscale twists. The original 4,000-square-foot Pop Burger restaurant in Manhattan's trendy Meatpacking District includes a burger counter adjoined to an upscale lounge that serves wine and cocktails. Liebenthal hired a New York-based Turkish designer, Ali Tayar, to create a more modern, hip ambiance, replete with descriptive food-related phrases that light up the walls -- far from what you expect at run-of-the-mill burger joints. "The idea of tucking the lounge behind the burger counter was a little bit of a play on the Prohibition," says Liebenthal, 48. While other upscale burger places have emerged since Liebenthal started Pop Burger, he has continued to expand -- opening a larger second location with billiards in 2007. And this past May he opened a third burger-focused eatery in New York -- Pop Pub -- near New York University. 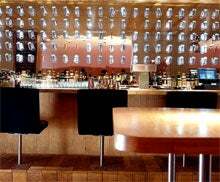 The bar inside New York's Pop Burger. Like his original Pop Burger, which alone generates about $3.5 million in annual revenues, Pop Pub also maintains a hipster vibe. It offers an expanded menu, including items such as lobster rolls and breakfast fare, and boasts more than 50 types of beer. Liebenthal's advice: Don't just keep up with trends in your industry, be the trendsetter and blaze your own trail. 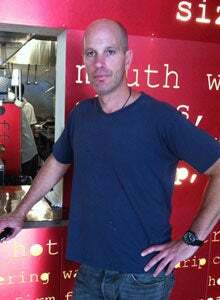 Liebenthal attributes his success to thinking outside the box and redefining what a burger joint is. 3. Cater to an overlooked, underserved slice of the market. If you're the latecomer in a popular and crammed industry, look for the slice of the market that's not getting enough attention -- and find the best way to fill the need. 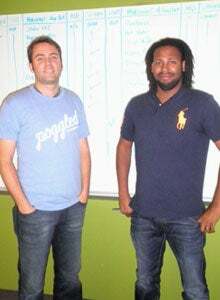 In early 2009, Joe Matthews and Sean Strother started Poggled.com, a Chicago social-networking site for sharing tips on drink specials and nightlife around the city. But after a year, they noticed the explosive growth of "daily deal" sites, such as Chicago-based Groupon.com. Matthews was taking a master's in business administration course taught by a Groupon founder and, working with him, was able to line up $500,000 in venture capital to revamp Poggled and turn it into a deals site. But Poggled narrowed its focus to the special needs of nightclubs. For instance, instead of just one-time discounts, the company offered ongoing deals only redeemable on slow nights of the week or before midnight, when many nightclubs are still empty. New deals are emailed out to Poggled subscribers -- as other daily deal sites do -- but they do not expire in 24 hours. The deals could stay active for several weeks or months. Poggled has about 40,000 email subscribers in the Chicago area and recently began offering deals in New York City and Denver. It expects to expand to several more cities in coming months. Matthews' advice: Rather than trying to serve every customer, cater to the ones that have unique needs. For example, nightclubs "don't want to have 1,000 coupons outstanding" that people can use anytime," says Matthews, 30. "They want people coming on their off nights."